Hunting for someone to consult for increasing your company’s online sales revenue? Or are you hungry for a job in digital marketing agency? Want to increase your blog article’s visibility and gain good ranking in Google search? Digital marketing agencies have been the trending demands of many companies in the recent years, amid the increase of companies hopping from traditional marketing perimeter into the digital sphere. At the same time, this releases more wide-scoped job opportunities in the digital marketing society, as digital marketing can only function with a set of inbound team with various required skills. As for some who are freelance bloggers seeking for online attention for their articles, what they needed is experts who can boost their article ranking into the top-searched headlines in search engines. Finding a digital marketing company online which will eventually turn out to be a satisfaction is a hard-to-do in the mass results spawned in the SERP, be it for pay-consultation or job hunting. To ease your hectic online search, here’s a summary of professional digital marketing agencies and ideal online marketing problem-solvers you should look into! Wave Evolution is the one-stop digital marketing forefront which excels in Google Ads PPC (pay per click) advertising, CRM email marketing, social media marketing, database marketing (web data scraping), SMS mobile marketing and SEO(search engine optimization)/ SEM(search engine marketing) boosting services. Wave Evolution believes that building credibility online is not just making known the client companies as the legit brand, but in order for the brand to have an amplified customer base, the companies must first be widely seen by this method known as lead generation! Not only so, Wave Evolution uses cost-efficient and high speed solutions with higher productivity. From the Marketing Sherpa’s Lead Generation Benchmark Report, the most widely utilized lead generation weapon is email marketing because the target audience response in email replies amps up to 81%, and email marketing with CRM (customer relationship management) adds value to email marketing because Wave Evolution doesn’t just send email newsletters. CRM is the way to connect to consumers and to maintain their loyalty to a brand or company with customer happiness as the focal point of business growth hacks. As for SMS marketing, according to MCMC reports, WhatsApp Messenger has the highest consumption among Malaysians (ranked 2nd after South Africa) next to social media, which gives WhatsApp the potency to be a viral marketing prospect for any companies who wish to thrive in business. Wave Evolution, like any other digital marketing companies, focuses on SEO and SEM whereby our team aims to assist companies to hack visibility and audience outreach in CTR (click-thru-rate) by boosting online contents on internet. Also, Wave Evolution has been tracking on upcoming digital marketing trends and publishing contents on its company blogs, covering topics on latest trends, even upcoming ones or publishing insights that can play a potent role in online business growth. This not only increases the CTR, but also provides business inspirations for other digital marketing business to venture and converge into during the future era and the days to come. Wave Evolution also has the goal to propel itself as the No.1 digital marketing agency by firstly gaining market publicity entrance through content creation. Moreover, Wave Evolution also creates the seamless user experience in e-commerce line by Google Ads PPC ads service to increase CTA (call to action). Thereby, Google Ads management is the asset in helping companies’ brands become more striking in SERP and maximize consumer base (which simultaneously helps your site gain high SEO ranking) using search ads, display ads, video ads, shopping ads and mobile app ads. With the power of Google Ads, the running of Google Ads campaign helps the companies to outrank competition by placing ads on various search entries to create the long-term brand memory. 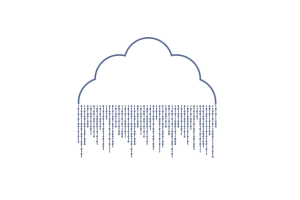 Additionally, Wave Evolution is an expert in database solution by performing web scraping to collect clientele’s target audience business info such as phone, email, company address and job function. With customer database marketing, Wave Evolution has the ability to trace consumer behavior in their search navigation. From there, Wave Evolution assist clientele to modify product developments relevant to customer search history, turning data into monetary profit! Not only so, it can help reduce production cost because when Wave Evolution is able to get the desired numbers of clientele’s target audiences to view the messages or ads, the power of Big Data cuts the way for Wave Evolution to reduce the CPC (cost per click) for clientele. Lastly and not to forget, Wave Evolution is the master of social media marketing and management service by utilizing Facebook and Instagram to gain target masses in a cheap and quicker gateway to reach out to netizens by content and designing. Another side note, Wave Evolution’s support team are capable of troubleshooting email marketing tools like GetResponse and Mailwizz. Not only so, the support team also helps to create website designing for clients in order to make the clientele websites look more inviting and seamless surfing, with proper landing page optimization techniques as well. 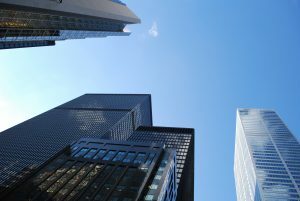 Wave Evolution always had a bird’s eye view of the upcoming market trend which will become the gateway to overturn businesses into a positive career adventure. 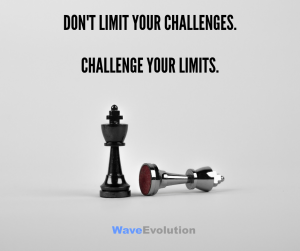 To discover what Wave Evolution’s strengths that plays to your commercial benefits, discuss more with Wave Evolution team at info@waveevo.com or call +603 7722 5902. 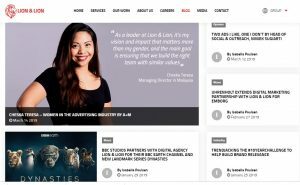 Lion & Lion is a digital marketing an expertise in influencer marketing, E-commerce, CRM email marketing, social media marketing, digital PR (create press releases) and analytics service such as Google Analytics. Lion & Lion’s influencer marketing service includes identifying micro-influencers and recruiting them to endorse clientele brands. 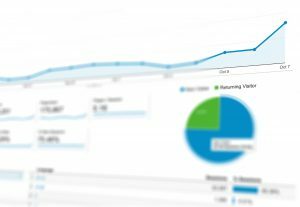 From there, the ROI of the company will be monitored by Google Analytics which is KPI-measured on each client’s company performances. Then for E-commerce, Lion & Lion conducts customer service support and also helps in negotiation of third parties’ commercial agreements, which tops up the goal to partnership marketing as well. As mentioned, CRM email marketing is one of Lion & Lion’s strong suits by connecting and communicating, as well as retaining brand loyalty of customers through email. Also, Lion & Lion has been publishing press releases of successful projects and upcoming trend markets. Plus, Lion & Lion uses social media profile development to boost visibility and CTA with social media marketing strategies, as well as monitoring direct competitors’ marketing behaviours. In social media management, aside from monitoring social media, Lion & Lion also conducts social media listening (crisis management) in order to gauge the marketing opportunities and threats through being updated with consumers’ positive and negative comments, also on what to improve on the service or the product development. This action is taken so that the issues and complaints will not turn into an uncontrollable crisis in the future. If you need further assistance, contact Lion & Lion at info@lionandlion.com or call +603 2780 0950. Established in 2016, Ennovation is all about SEO and SEM, which is huge break for great content writers and curators to shine out. 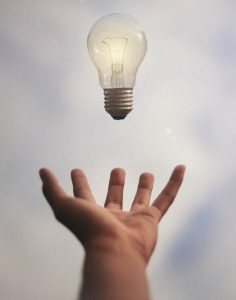 Using the white SEO modus operandi in content marketing, Ennovation is the best in keyword ranking research by monitoring the most frequent keyword searches of netizens. 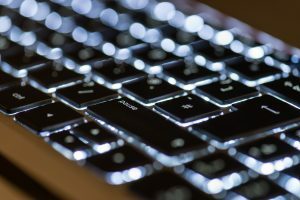 Through this keyword search, Ennovation assists in determining which headlines and tags will hit the top-searched in the SERP by determining search volume of client competitors’ most used keywords in creating a blog headline. The common danger faced by bloggers is that, the wrong keyword chosen, no matter how attractive, will be invisible on SERP if the keyword is not frequently used by netizens, and Ennovation will be the problem-solver in this issue. Not only so, Ennovation helps clientele’s websites to appear at the top search of SERP, and also helps in brand positioning as well as SEO positioning of company sites in this way. Moreover, Ennovation has a team of social media management experts to help clients through the social media marketing journey by doing social media postings, as well as social media monitoring and listening to boost content exposure. Also, Ennovation ensures that the social media content is relevant to the target audience and from there, obtains the desired target audience directions. With that also, Ennovation also assists in website designing by personalizing web pages of company and clients to make the page look attractive with visual contents and HTML designing tool to enhance the webpage surfing/ clicks experience for visitors. The more attractive the content is, be it in letters or compelling visuals, content marketing is the core value of digital marketing because the determinant of content marketing requires both writing and visuals to play to its strengths. This eventually doubles the volume of converted clicks from online visitors. Want to know more about Ennovation services and strengths? Drop an email to Ennovation at tansy@ennovation.co or call +603 7886 0887. This is another company which also specializes in SEO and keyword ranking, along with Google Ads, YouTube ads marketing, and remarketing as well. For a business to flourish, SEO is the one and only key to gain exposure for the company, because without proper SEO techniques guidance, startup companies cannot become “famous” online and the business will just become one of the blend-ins, hiding in the Google search bulk of content marketing competitors and become unnoticeable, which is what causes a business to suffer low CTR which ends up in potential ROI loss. 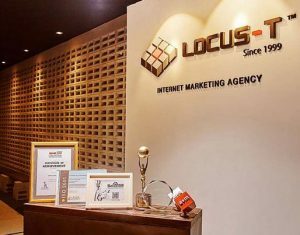 Locus-T is not just the solution for thriving a site ranking by SEO, as SEO techniques includes creating link building, keyword ranking search and create an ease of navigating access of the landing page as well (landing page optimization) with detailed CTA. As mentioned, Google Ads is also another method to gain the visibility of the content, which also fulfills the SEO requirements as well. 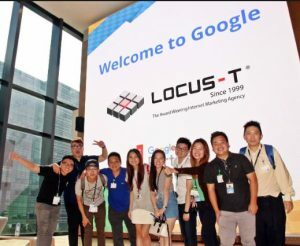 Locus-T assists clients to build a good ranking on the Google SERP by Google Ads in order to invite higher CTR and increases the ROI benefits. Adding on, Locus-T also provides YouTube advertising for companies. YouTube is must-not-be-missed opportunity for all companies to do both digital marketing and remarketing, with the anchoring statistics of 1Bil views daily and being 2nd in-line search engine after Google search. What’s more, according to Locus-T records, YouTube viewers spends at least 28 minutes per day watching videos, which is more than enough for an ad to run and for the ad message to be passed around or conveyed. Another pro’s of Locus-T is remarketing, as remarketing occurs when there is a high rate of online shopping cart abandonment, especially among consumers of online shopping platforms like TaoBao and Lazada.com. Remarketing also is useful when a particular brand did not gain online traction during the first visits, or that the customers who previously purchased some goods or services from the company has already lost interest with the particular company after some time. Third factor of remarketing is also when the brand did not look appealing to consumers or, consumers have missed the promotion ads on Google or YouTube, or any other sites the ads are being posted on. So, what remarketing does is to refind the targets that missed out the ads and reduce online shopping cart abandonment by retargeting potential customers. Finally, remaketing technique will cause the same ads to reappear at another site, or on a more searched site as compared to the previous site posted by the first digital marketing approach. If you need help in any of these services, email sales.my@locus-t.com.my or call +603 7947 3333. E-marketing is also another company which provides SEO package plan and pricing for companies to use their services. 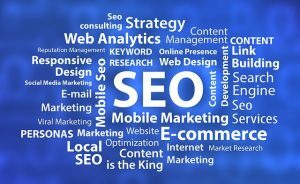 On the official site, E-Marketing has boasted of its company’s booming qualities and credibility for investors to invest into the SEO package plans. This is by showing clientele’s ranking on the SERP on Google after using E-Marketing SEO package plans. E-Marketing also uses Google Ads to perform search ads postings and also FB ads marketing with the power of Google Ads PPC advertising. As usual, Google Ads management includes monitoring keyword performance and rankings on search ads, display ads and social media ads like Facebook. Good news for newbie and experienced bloggers, or even for bloggers with lots of SEO ranking issues for their sites! E-marketing also gives potential advices and consultancy for freelance bloggers to build credibility on the SERP. E-Marketing also is involved in LinkedIn management by leveraging the site to search for target market and potential clientele to boost leads and increase company spotlight. Furthermore, E-Marketing not only assists companies in professional website development for seamless online visitor experience, but also starts up Store Node E-commerce platform to sell clients’ online web-store. Given the access of free HTML templates, Store Node is a free site for online businesses to build their online store for netizens to visit, such as building logo and banner ads, and many other online website building accessories for online businesses to explore on. In need of expert consultants? Drop an email to marketing@e-marketing.com.my or call +603 7886 8868. 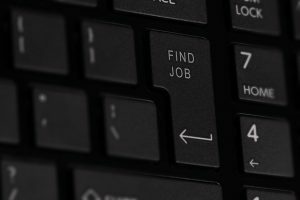 Hope this post help you guys on your job hunting adventure! For the marketers, hope you will gain much from the introduction to the digital marketing world on how to make your organization big in the digital industry! To the bloggers, with this much of info in SEO services that is provided in digital marketing agencies, this is your chance to rise too!